Research in RISD Glass takes many different forms, from special studio courses, to semester-long sequences in the Hotshop, to extended work with visiting artists. This fall RISD Glass is partnering with Pamela Smith of The Making and Knowing Project, Columbia University, and Dedo Von Kerssenbrock-Krosigk, of the Museum Kunstpalast, Düsseldorf, Germany, to reconstruct 16th century alchemical recipes to produce gold ruby glass. The recipes come from an anonymous manuscript, Ms. Fr. 640 , an intriguing sixteenth-century compilation of very diverse technical recipes that, among many other things, includes instructions for imitation gems made from colored glass. The Making and Knowing Project, part of the Center for Science and Society at Columbia University, has reconstructed these recipes in order to gain insight into the aims of the manuscript's author-practitioner, the materials and techniques of sixteenth-century craftspeople, and the very long tradition of imitating gems in colored glass. The collaboration between the RISD Glass Studio and the Making and Knowing Project aims to understand the manuscript's recipes in the context of the long search for the "glass of the alchemists" - a deep ruby red glass - that the author of Ms. Fr. 640 tried (and failed) to produce. Pamela H. Smith, Seth Low Professor of History, Director of the Center for Science and Society and members of the Making and Knowing Project, Dedo Von Kerssenbrock-Krosigk, Director of the Glasmuseum Hentrich at the Museum Kunstpalast in Dusseldorf, Clyde L. Briant: Otis E. Randall University Professor and Professor of Engineering at Brown University, and RISD Glass faculty and students. 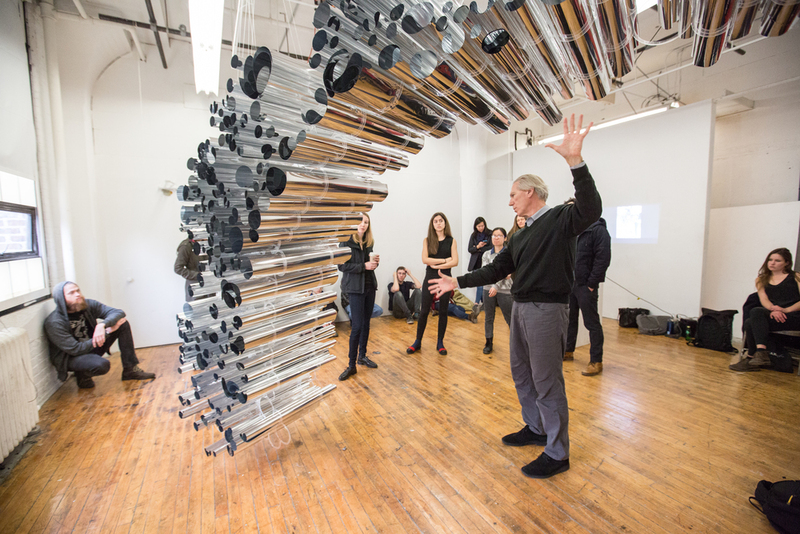 Synthesis of Light was an experimental multi-disciplinary course co-taught by James Carpenter and Stefanie Pender in Fall 2015. The course redefined light by the information that it embodies. Light and its observation were explored as a means of understanding the potential of materials and design to manifest experiential qualities of light in the public realm. 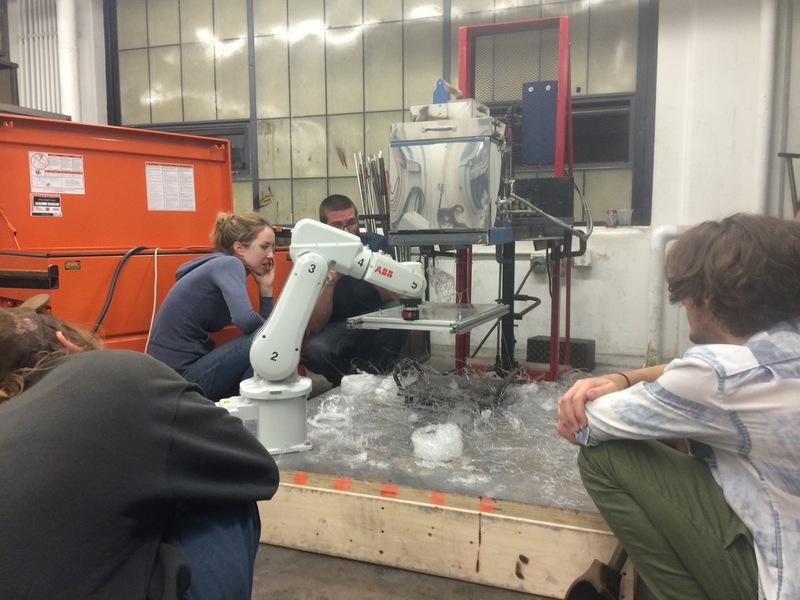 In the Fall of 2015 Stefanie Pender led Material Nature, a semester-long series of experiments involving a robotic arm and specialized kiln that enabled students to study the 3-D printing of hot glass firsthand. 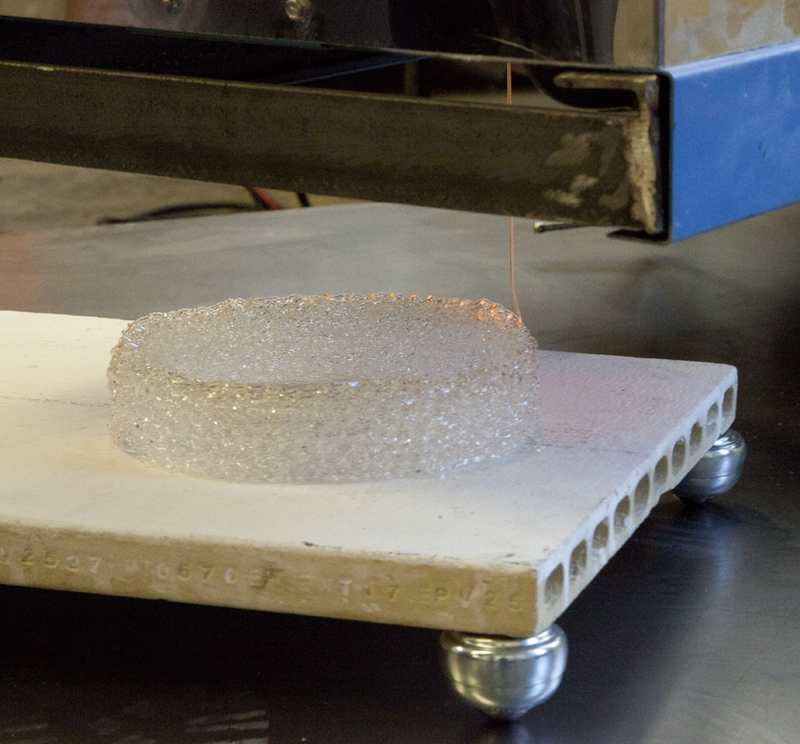 Through the manipulation of the inherent morphogenetic properties of glass, students generated natural form and emergent patterns, and explored how these can be controlled and simulated within computer aided design. Writing Glass was a cross-disciplinary writing workshop let by visual artist and writer Jen Bervin, encouraging collaboration between students from the Glass Department at RISD, and students of the Literary Arts Department at Brown. Activities included a student led hot shop demonstration, an optics and light demonstration, and writing presentations, in an effort to open a dialogue on the dynamic intersection of glass and poetry.